the philosophical and religious traditions of the Far East. most important communicative link between the world's physicists. there may be is not directly accessible to mortal humans. be the dominant epistemological trend in the world. much to one side as to the other. sciences. Thus such subjects are false sciences. There is an interesting article by Dr. T. Theocharis and Dr.
are not the criteria, then what makes a proposition scientific? scientific if it is sanctioned by the scientific establishment. personalities and politics play a large role in science. 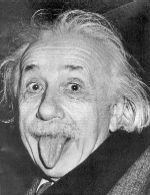 However Einstein's God was not the God of most other men. occupied the entire first page of the New York Times Magazine. satisfaction of the needs they feel or the escape from pain." attention once again on the subject of God and creation. to demystify God's last refuge. nothing entirely spontaneously, without violating any laws. resistance, and by consequence of all sensible matter. "bad" connotations, no longer occurs in textbooks on physics. just another word for knowledge. An associate of mine, Prof.
more right to be called scientists then the so-called Ph.D.
not obey the rules of good conduct common to all sciences." existence is based on blind faith and not experimental evidence. objectively consider this evidence, has made a farce of physics. become the God of most modern physicists!